When you crave a well-manicured lawn to boost your home’s curb appeal, it’s time to call Red Wagon Landscaping. Why fuss with your lawn repeatedly, only to get brown grass and overgrown shrubbery year after year? Instead, as a homeowner in Carlisle, MA, you can sit back and let the professionals handle your lawn care service needs. Red Wagon Landscaping is skilled in complete lawn care and landscape design services, thanks to 25 years of experience in the business. We specialize in anything from landscape design to general lawn care. We are happy to serve you with our expertise in everything from landscape maintenance to construction to design. Come to us for help with your planting and landscape maintenance tasks as well as lawn mowing, curbside leaf removal, shrub trimming, irrigation system installation and even patio creation. Thanks to affordable price tags and superior attention to detail, we at Red Wagon Landscaping can deliver on promises of superior work each and every time. From mulch blowing and seasonal cleanups to gardening and mowing, we are your go-to company for complete lawn care. In the winter, we offer snow removal services to keep your home clear, functional and looking good. 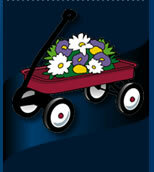 In addition to the basics of lawn care, Red Wagon Landscaping also helps you create the yard of your dreams. Our skilled professionals can create a garden paradise for you, a brick patio made of durable pavers for family gatherings, meandering pathways, retaining walls, and even calming fountains and serene ponds. Let our landscape technicians create and develop a design that's not only functional for your needs but also beautiful and inspiring. If you’re a Massachusetts resident, contact us today to get started on your landscape design or lawn care needs!